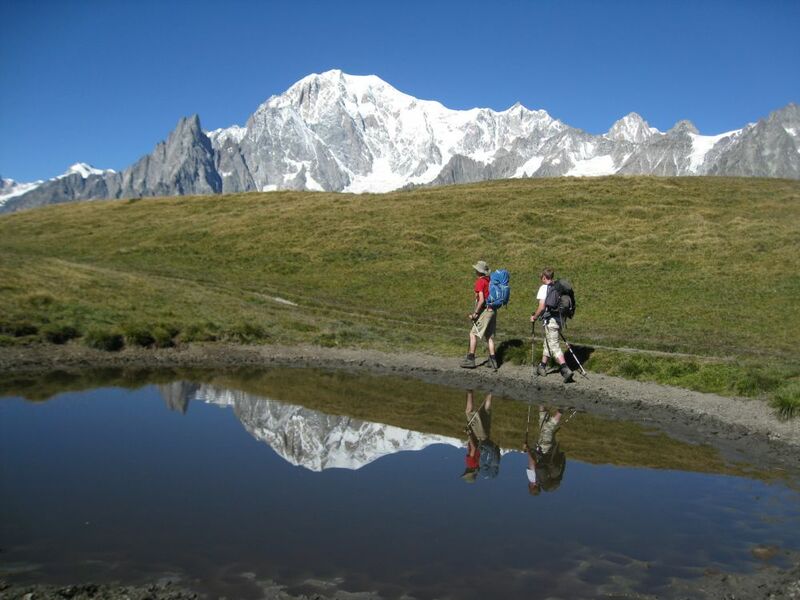 In the summer Trekking in the Alps offers treks and walking holidays in the Alps. 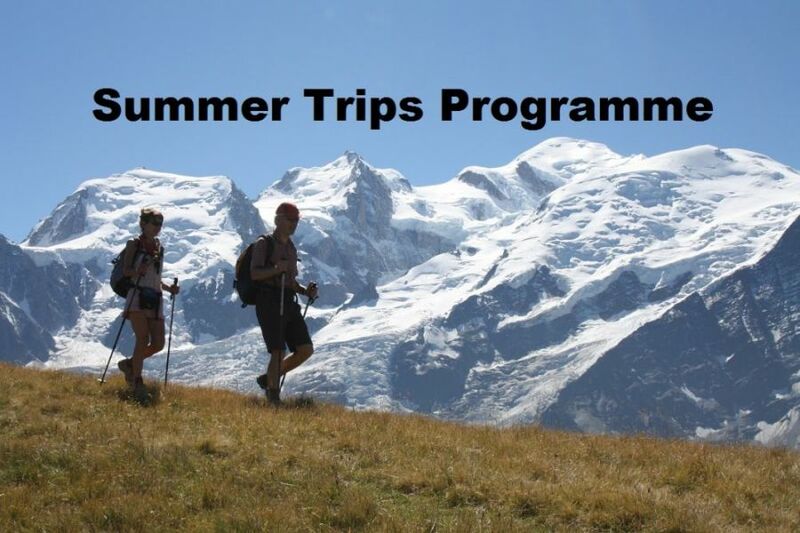 Each year the programme changes but certain classics are an annual event, notably the famous Tour of Mont Blanc which is justifiably the most popular trek in Europe. Treks are multi-day from hut to hut and can be 6 - 9 days long. Other holidays are hotel based, - Summit Weeks, Creaky knees Specials and Hotel Holidays - and allow us to have a flexible week of hikes, with some overnights in mountain huts, visiting summits and high walks away from the well-known treks. Summer is the time for flowers, and the best month to see alpine flowers is July. I have a great interest in the flora and will do my best to tell you what we're looking at, and anything of interest associated with each plant we discover. Alpine wildlife includes chamois, ibex, marmots, deer, foxes, stoats, and many birds. I cannot programme the animals to show up for us during our walks, but by being first on the trail in the morning we increases our chances of seeing wildlife. Certain areas are also known for their profusion of animals, such as the Gran Paradiso known for its ibex, and Provence where I can guarantee we’ll see Griffon Vultures soaring overhead during our walks. It is always a great privilege to see the wildlife and one that really enhances a hike. Contact me for detailed factfiles on trips that of interest to you.